As product managers we all like to try new ideas out. However, sometimes the job that we’re being asked to do is so brand new that there really is nobody that we can compare ourselves to and no existing product development definition. The product managers at Ocado find themselves in this very situation: they are trying to make the company’s business of online grocery shopping a success. However, nobody has really been able to make this happen so far. It sure looks like it’s time for some creative thinking! For those of you who remember the madness that was the “dot com” era, you may remember a high profile company called “Webvan”. This well-funded startup had some famous people running the show and they were going to change the world by introducing all of us to buying groceries online and then having them delivered to our doorstep. It didn’t work out and they failed. However, the idea didn’t die with them. It turns out that another company, Ocado, wants to give it another try over in the U.K. The good news for Ocado is that the online grocery market is predicted to double in size over the next five years. By that time it will represent a US$26.82B market and will account for 9% of the total UK grocery market. Clearly the three former Goldman Saches bankers who are running the company think that they can play a major role in that market. The UK is a great place to start this type of business. The high population density has led all four of the major grocery store chains to launch their own version of an online ordering home delivery service. However, they are all experiencing the greatest problem that this service has: it’s really, really expensive to deliver groceries to individual homes. It’s a struggle for all of these firms to make this business profitable. The challenges presented by this market have caused the product managers at Ocado to start to look for new ways to generate revenue for their firm. What they did was to look inside of the company and try to find anything that the company was doing that might be valuable to other firms. What they discovered is that the company is very good at taking and delivering orders for groceries. The product managers have decided that they now want to package and sell one of Ocado’s core skills: it wants to license its proprietary technology and equipment to other firms in order to allow them to enter into the grocery home delivery market. They have already successfully licensed this product to the UK’s fourth largest grocer Wm. Morrison Supermakets PLC. If they can come up with a way to turn this into a viable business, then they will have discovered something else to add to their product manager resume. Since Ocado is offering this service in the UK, they don’t really want everyone in the UK to use their own technology to compete with them. Instead, the product managers are now looking for overseas partners. Their goal is to share the technology that they’ve used to create a distribution center that occupies 1.2 million square feet – roughly the size of 20 American football fields. With the proper set of international partners, Ocado can expand into the business of becoming a software and technology firm. Ocado is a firm that has started out as an online grocery firm. It turns out that the business that their product managers have been focused on dominating is a difficult one in which to make significant profits. Their product manager job description told them to be creative and so in order to keep growing the business, the product managers are now looking for ways to license the company’s technology to other firms. Ocado has done a good job of creating a successful online grocery store in the UK. They currently own roughly 14% of this market. However, in order to keep growing they now want to license the software and technology that they have developed to other firms. They’ve already made a sale to another UK grocer and so now they are busy looking for international partners. The product managers at Ocado are doing a good job of thinking outside of the box. They realized that they were not going to be able to grow the business as fast as they wanted to if they remained solely focused on the grocery business. Being willing to expand into a different market using what the firm does well shows some real initiative. 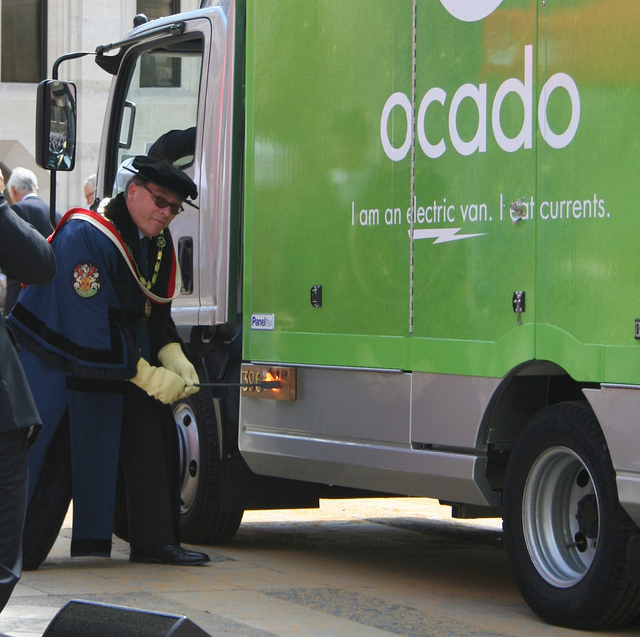 We’ll have to keep a close watch on Ocado to see if they can successfully pull this off! Question For You: Do you think that it was a wise move for Ocado the grocer to try to become a software and technology vendor? So product manager, I’ve got an interesting ethical issue for you. Are you ready? If sales of your product were sagging and your boss came to you and told you that it was your job to boost sales, how far would you go to make this happen? Would you change your product development definition? Would you be willing to lie to your customers to get them to buy more of your product? What if it was just a little lie – maybe not even a lie, just a mistruth? What if your customers wanted to be lied to? Over at the Chipotle food chain, their product managers faced this very dilemma.